What are your wedding photography prices? 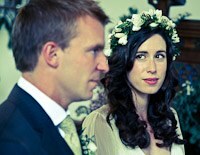 Most of my wedding photography packages are well under £1,000. Indeed, I often photograph weddings for budgets under £500. The wedding photography prices quoted here apply to bookings in central-ish London, and will increase slightly for weddings that are further afield. If I’m out of your budget range, I'm happy to discuss a different package. Prices listed below are applicable up to and including March 2020. There will be a small increase (of approximately 3%) as of April 2020. If you are on a tight budget, there are a range of other wedding photography discount packages available (discounts and off-peak prices do not apply to bank holidays, Christmas, New Year and Easter weekend). You will see from my prices that I am a mid-budget wedding photographer. You can certainly find cheaper wedding photographers but I think they generally provide much lower quality work, both technically and aesthetically. There are also much more expensive professional wedding photographers out there, and while many of them provide excellent, high-end, professional wedding photography, I think most are nonetheless massively over-priced and are exploiting what they consider to be a lucrative wedding market. While my prices are very affordable, I appreciate that getting married is not cheap, so I offer a range of discounts on the prices set out above, so if you need a budget London wedding photographer, click here. 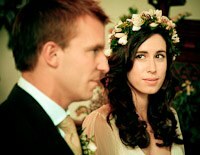 What does your wedding photography package include? • You will have copyright over all of your images. • 50 photos per hour. So, for example, a four hour booking would result in 200 photos, a six hour booking, 300 etc. These will all be good photographs - photos with your eyes (half) closed, under/over-exposed, excessively blurred shots etc will have already been removed. • A DVD or USB of all your images, each individually optimised and produced in high resolution (for print) and low resolution (for web). • An online web gallery for you to share with your friends and family. • A second set of all images, also provided on DVD or USB, this time produced in an artistic vintage/retro or an elegant black and white finish (also provided in print and web resolution) (this is an optional extra and an additional fee will be payable). • The RAW files (i.e. the digital negatives) of all your photos (this is an optional extra and an additional fee will be payable). You will see from my reviews page that my clients have been impressed with the aesthetic quality of my work, the quick delivery of the finished product, and my flexible, relaxed good-humoured and highly organised approach.